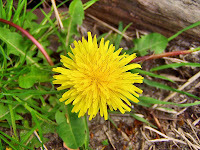 Fun With Frisian: HYNSTEBLOM - "dandelion"
I recently spotted a few dandelions making an early appearance, so they will be the topic of this post. Hynsteblom literally translates as "stallion flower." Blom (a flower or bloom) is pronounced with the long "oh" vowel in the exclamation oh!" and hynst (stallion) is pronounced with the short "ih" sound "hint." The middle vowel is the ubiquitous schwa. HIHNST-uh-blohm. 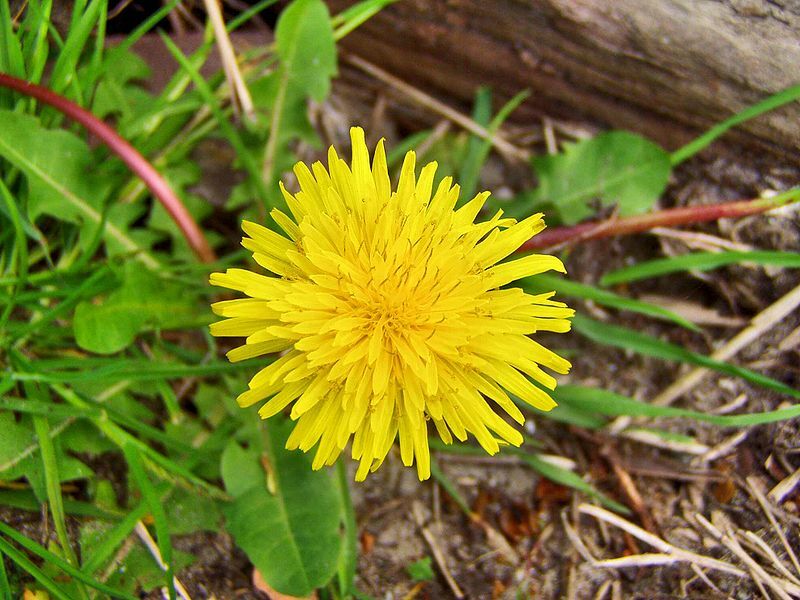 Yn april kinne se hiele greiden giel kleurje. In April they can color whole grasslands yellow. Yn means "in" but is said with a long "ee" like in "seen." EEn. Be careful not to confuse it with the West Frisian article in meaning "a" or "an" and said with a schwa (uhn). Based on other entries, my best guess on april is a long "ah" like in "father" before the -p- and a short "ih" like in "still" before the final -l. But it is not among the entries in my admittedly outdated glossary. Kinne means "can, may, or able to." It is said with a short "ih" like in the English word "kin" and ends with a schwa. KIHNnuh. Se means "she" or "they" and is said with a schwa. Suh. 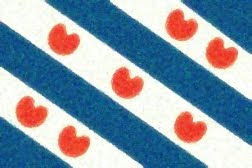 Hiel is the West Frisian for "whole." It is pronounced with a long "ee" like in "heal" followed by a schwa. HEEuhl. The ideas of being healed and being whole are connected, so remember the word that way. Greide means "grassland" and is pronounced with same the diphthong heard in "high," "tide," and "eye." It ends with a schwa. GRIGH-duh. Giel means "yellow" and is pronounced with a long "ee" vowel like in "seek" followed by a schwa. GEEuhl. Finally, kleurje is the verb form of the word kleur or "color." The noun form is said with the purse-lipped "o" with an umlaut over it that is found in German, followed by a schwa. KLÖ-uhr. For the verb form, -je is placed on the end, which sounds like a y- immediately followed by a schwa. KLÖ-uhr-yuh. Note the similarity to its English cognate "color."